"Dr Dring is the only surgeon I trust to help me with these problems." "Dr. Dring is a 5 star physician. Had an amazing experience after being so apprehensive. Would refer him to anybody & every body." "Talk to doing is a true professional. He cares for his patients his staff is friendly his assistance are always at his side courteous concerned and very informative and professional"
"Dr. Dring was excellent to work with. He was exceptionally caring and pleasant." "I give Dr. Dring an A+." "One of the best doctors that I have ever been to see!" "Dr. Dring is excellent - clear explanation, caring, easy to talk to." "I was nervous about my surgery. Dr. Dring walked me through it and his calm personality helped me trust everything he was doing. Extremely friendly doctor." "Dr, Dring is a caring doctor who really makes you comfortable and relaxed. Would not trust anyone else for my care." "I travel over 30 miles because of Dr. Dring professionalism. Thank you." "Dr. Robert J Dring, MD is a great physician, I was really lucky to meet him. Thanks Dr. Dring for your help!! " "Dr Dring was extremely caring"
"I could not have asked for a better provider. Great knowledge of the field, amazing bedside manner. 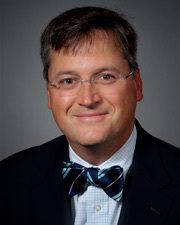 Dr. Dring is a special healthcare provider - will definitely recommend him & the practice." "He's a great & caring doctor." "Dr Drings was professional caring and he shared the information in a simple manner." "Already have recommended him to friends & or family." "Dr. Dring was great about listening to my concerns and helping me feel at ease throughout the exam. He answered all my questions and talked through my issue and potential treatments." "Dr. Robert Dring informative and simple in explanation of my problem. Explained quickly and easy to understand what will be done. No worries." "Dr. Robert Dring is one of the best physicians I met in my life. Professional, caring and nice. " "Dr. Dring is an excellent doctor. That's why I have continued to use him." "I sent two friends that were procrastinating for years about a colonoscopy, each had said what a wonderful experience, if that could describe a colonoscopy, he made it. They were so relieved after it was over and told me why did I wait so long, the office is a pleasure to go to and Dr. Dring Is truly a credit to his profession." "Dr. Dring always made me feel safe in his hands. " "Dr. Dring took the time to discuss 3 options about how to deal with my issue and explained the pros & cons of each." "Dr. Dring was great! he made me feel comfortable and was very professional. I have no hesitations recommending him! a wonderful provider." "The very best. #1-10. Excellent. " "Dr. Dring is kind compassionate & thoroughly explained my surgery - He is wonderful & your lucky to have him!" "Dr. Dring has my utmost confidence. He is terrific." "Dr. Dring diagnosed my oral cancer last year. He is extremely caring, knowledgeable and helpful. I find his staff follows his example in treatment of patients." "Dr. Dring is the best. I'm able to go on living thanks to him. God bless him everyday. " "I was completely informed and understood my condition and all options. Dr. Dring was excellent." "Dr. Dring made me feel very safe and comfortable." "Dr. Dring is a very cool guy!" "I felt fully informed the entire time and totally comfortable with Dr. Dring and office staff"
"Dr. Dring is THE BEST of the best! He is warm, friendly, funny, puts one at ease, the ultimate professional, most probably the most gifted and best doctor I have ever experienced. he makes the patient feel he is a friend and has no limit to his concern and care. I cannot say enough about him. just wonderful!" "Cannot say enough about him. Made me feel at ease. He is very caring. So happy to have Dr. Dring for my doctor." "Dr. Dring is the "greatest"." "Dr. Dring made sure my wife and I understood what he said. He had been recommended highly by our internist, Dr. Freitrhant we could see why - he deserved the high praise our internist gave him." "She was wonderful & kind." "I received the best care from Dr. Dring & staff." "I have so much confidence in Dr. Dring that he will be performing major surgery on me in near future." "Developed excellent rapport with patient - professional & understanding." "I was referred to Dr. Dring to have a colonoscopy and thought he was a wonderful, kind, caring and excellent doctor. I would recommend him to anyone." "Dr. Dring's pleasant manner & cheerfulness, and his expertise in explaining problems and treatments is comforting and understandable." "I wish there was an "off the charts" option!!! That would be the rating I give Dr. Dring. Kind, courteous, calming,funny and so many other wonderful traits!" "Very good experience - Dr. is pleasant, describes his assessment of problem and suggests further surgery - with confidence I will get better." "Dr. Dring was wonderful. Made me feel @ ease for my surgery." "Absolutely wonderful!!!! Everyone in this office!!!" "Dr. Dring made me feel comfortable immediately upon my meeting him (first time). He was professional yet warm and understanding of my problem." "Dr. Robert Dring IS THE BEST!! I credit him with saving my life." "Dr. Dring is amazing. Truly a great dr."
"Dr. Dring is an outstanding doctor." "I would definitely recommend Dr. Dring, he is awesome, and makes you understand the issue and you feel comfortable with him. That is so important -"
"Great! Great! Great! Best in my list." "Recommend to all - Dr. Robert Dring was an excellent surgeon." "Would not use another doctor in this field." "Good doctor better human being."